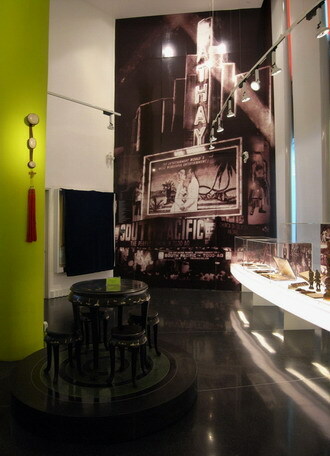 This private gallery is housed in a conserved section of the Cathay building and charts the story of the Loke family. 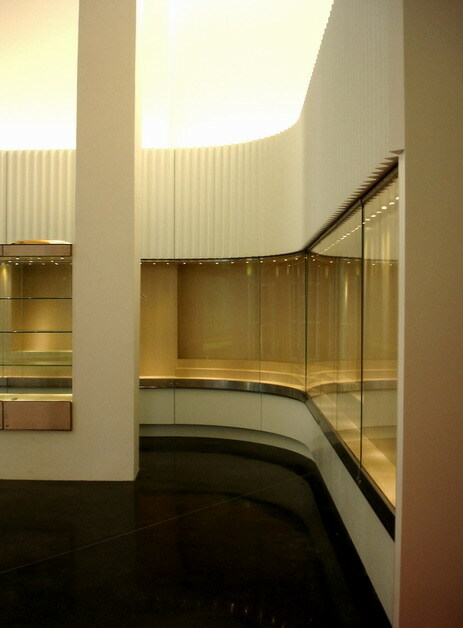 Elements of the old Deco building were echoed in the details of the design from the sweeping curve light table to the corrugated store cabinets. It was all offset on a black terrazzo floor with radial insets. The original green circular patterns saved from the lobby of the grand old building have been transformed in pedestals for some of the exhibits.